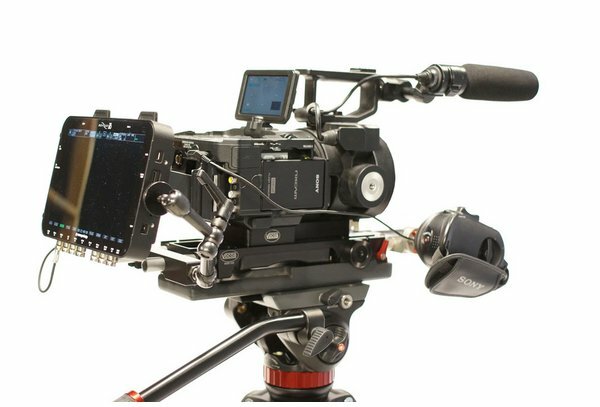 Package includes FS700R, Odyssey7Q an ergonomic, well balanced Vocas shoulder mount system, shipping case, and everthing else necessary to shoot out of the box. NTSC color, EIA standards HDTV 1080/60i, 1080/60p, 720/60p specification. PAL color, CCIR standards HDTV 1080/50i, 1080/50p, 720/50p specification. Video Recording Format HD Apple ProRes HQ, 10-bit 4:2:2 derived from 4K RAW, up to 30fps.